What is the injection molded parts cost? Injection molded part cost include the cost of part design and mold making, injection molding, as well as engineering , working with a injection molder as a strategic partner can massively reduce total cost of molded parts, it would be a good choice to work with a molder who have in-house mold building capability. 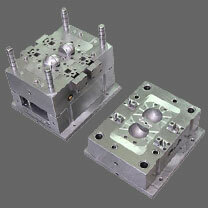 Actually, it is very common to see that a molder is mold maker as well in China. How to control the injection molded parts cost? The more information of your requirement you provide to your mold supplier, the bigger chance they are able to come up with the economic solutions. 1. What is the part? It's best to provide part data in 2D and 3D format, these are accuracy information that tell some important factors such as part weight, injection molding cycle time, mold design/ mold making concerns. 2. What is the quantity demanded? It's quit critical to give the total volumes, it will determine the mold making cost, unit price cost, as well as expected daily and weekly usage rates. Let the mold maker know the time schedule so they can plan the production well, nothing is rush or fall behind. When will you need the samples? When will you need the first batch of molded parts for testing? When will you need the mass production? 4. What is the material? Material selection depends on the requirement of the parts, you supplier might be able to propose alternative material to reduce part price; some materials have special property, it affect the mold steel selection and the mold price. 5. What is the surface requirement? The surface requirement will influence the mold design, such as gate location, parting line or inserts, ejection , you supplier will need such information to decide the most optimum mold design. 8. What's the target price? Cost objectives could be achieved by eliminating unnecessary design or non-value-added items. Suppose you need 20,000 parts, do you need these parts for life of this project? Or do you need 20000 for the first stage and more for the next? The molder / mold maker base on different requirements will provide different solutions, so it's important to share as many as possible with your supplier. Each of the injection molded parts project are custom made to meet your individual requirements.